Improperly or untrained admission call and chat agents lose 75% of potential intakes to your competitors. When one call can be worth $75,000 to your treatment center you want the “best of the best” taking your calls or chats. You don’t want someone who has several job duties. What you want is an employee that’s laser-focused on getting EVERY caller into your substance abuse treatment center. 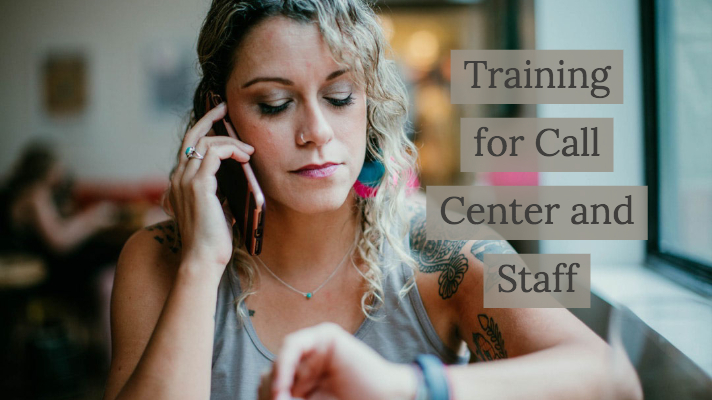 Taking calls and chats for treatment center admissions requires intense training, management, and supervision. Just because a person is sober, has a sales background, and has completed a treatment certification, does not qualify them to take live treatment calls and chats. Not just yet! The top goal of your residential treatment center is to fill your beds with quality patients. This is where most drug rehab centers struggle to maintain a census of top people. 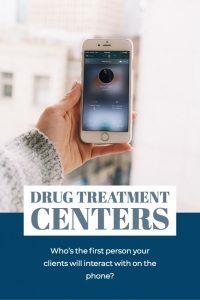 When a potential client can be worth $25,000 to $75,000 in revenue to your treatment center, you want the person taking that call to be able to close that call. To do that takes specific training, management, and supervision. Our co-founder Bruce Berman, has given hundreds of seminars on sales training and sold over 1,000,000, sales and marketing CDs. Since 2014 he has exclusively focused on treatment center admissions. He has developed an admission training, management and supervision program for substance abuse treatment centers. Our training program is from one week up to 90 days. We discuss each incoming call, with the person that took the call. This not only trains them but assists in getting clients in the door. It pays for itself many times over in increased admissions. Our sales training can include reviewing all systems you have in place and making a recommendation if needed. Things like Call routing, Call Tracking, Chat Software, Advertising methods, VOB service providers and procedures. We will develop custom scripting, lead tracking, and CSR follow-up procedures. Give us a call and see how serious we take your inquiry.